Visit the referral page here and fill out your details. Once you’ve submitted your details you’ll see your options for referring friends. You can either ask them to refer you by name, or send them a unique link/code using a variety of social media and email methods. Ensure your friend signs up via your link (or includes your name) and they’ll receive a 20% discount. Their first order should be of £50 minimum for you to receive your £10 credit. Get hold of your friend’s unique referral code/link and use this to sign up for a new account. Alternatively, ensure you have their full name (in the format/spelling they provided it) and submit this when you open your new account. As long as you sign up for a new account having followed the provided referral code/link you’ll receive a 20% discount on your first order. Ensure your order is over the value of £50 to unlock your referring friend’s £10 credit. 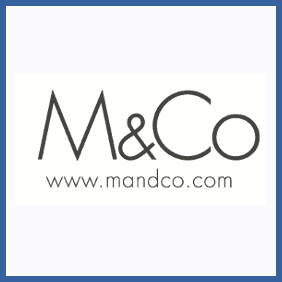 Scottish clothing franchise M&Co have 300 stores nationwide and offer everything from lingerie and homeware to kids clothing and boutique collections. Whether you’re an existing customer or not you can take advantage of their refer a friend program to get a £10 credit. Meanwhile your friend will get a 20% discount off their first order – so everyone’s happy!